This calibre of opportunity has become almost impossible to find in recent years. There is no question that the property located at number 16 Fife Street provides an incredibly rare combination of high-value features in one of Aucklands' most sought after and desirable locations. 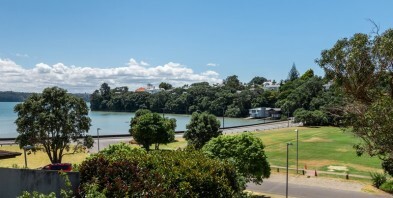 We all agree that it is not often that you will find, land size, natural elevation, northerly aspect, harbour views and easy access to one of the finest recreational parks on the Auckland city fringe all rolled up into one opportunity. The lifestyle and location are second to none with schooling, sports clubs, cafes, beaches, motorway access and so much more, right on your doorstep. Any property with this number of benefits, located within walking distance of the CBD has to be considered bulletproof real estate. The three level home heralding harbour views from most every room, is comfortable and well presented. It has certainly stood the test of time, but further value-add opportunities await new owners who may wish to take the home and/or site to the next stage of development and refinement. Do it your way, then sit back and enjoy.